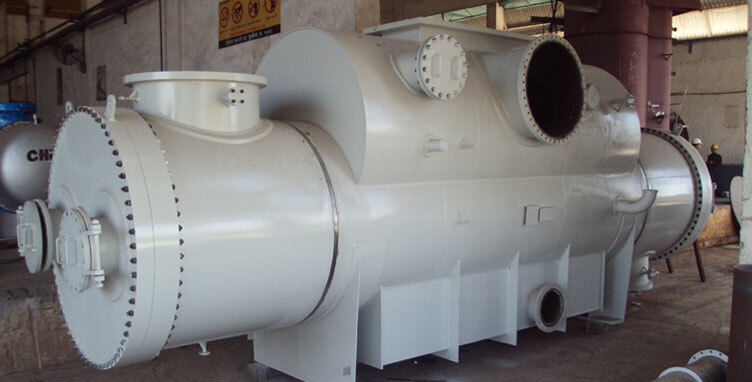 Chem Process has specially developed the Milk Condensing Systems based on the Steam Heated Rising Film Evaporator with Thermal Vapour Compression. The evaporation process is a commonly used method of concentrating milk. 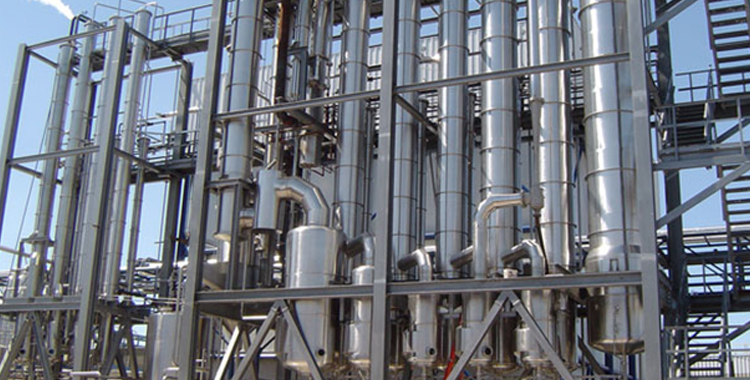 Different types of evaporators with various capacities are available in the market namely Steam Heated Falling Film Evaporators with Single Effect to Multi Effect and various other types. NDDB however wanted to develop energy efficient, economical and cost-effective Milk Condensing Units for small and medium scale operations. After strict deliberations, Chem Process was awarded this job which has been successfully implemented by us year after year. Chem Process designs and manufactures Khoa & Food Product Cooling Systems. Product Cooling under Vacuum is very rapid and this method not only improves the quality and freshness of the product but also increases the shelf life and reduces the production time drastically. Khoa when produced has a temperature of 90ºC. Previously, the method used was to bring the temperature from 90ºC to 40ºC by atmospheric cooling and the time taken was about 5 hours. Then the Khoa was put in a Cold Storage, where it would take about an hour for the temperature to come down to 25ºC. Since the Khoa remained at an elevated temperature for a long time, browning occurred and the colour instead of being a pure white would be yellow in colour. Chem Process applied Vacuum Cooling method for the cooling of Khoa for the National Dairy Development Board, NDDB, Anand. The advantages achieved were that the time was drastically reduced from 6 hours to 15 minutes, the Khoa is white in colour and the shelf life which was earlier restricted to 4-5 days has now increased to 20-25 days. We specially designed the Steam Jet Vacuum Systems with a Surface Condenser and a Water Ring Vacuum Pump, so as to avoid barometric height and minimized the quantity of steam required to get a superior product quality. Our Khoa Cooling Systems have been in continuous use for over 3 years without any breakdown.